The Chop Source Full Frame Jig Kit includes all of the fixtures and hardware you need to get your motorcycle frame jig (welding jig) started. You need to supply 17' of 2"x3" (1/8" wall) tubing and 6.5' of 2"x2" (1/8" wall) tubing for the jig to be assembled as shown. See the assembly instructions for more details. 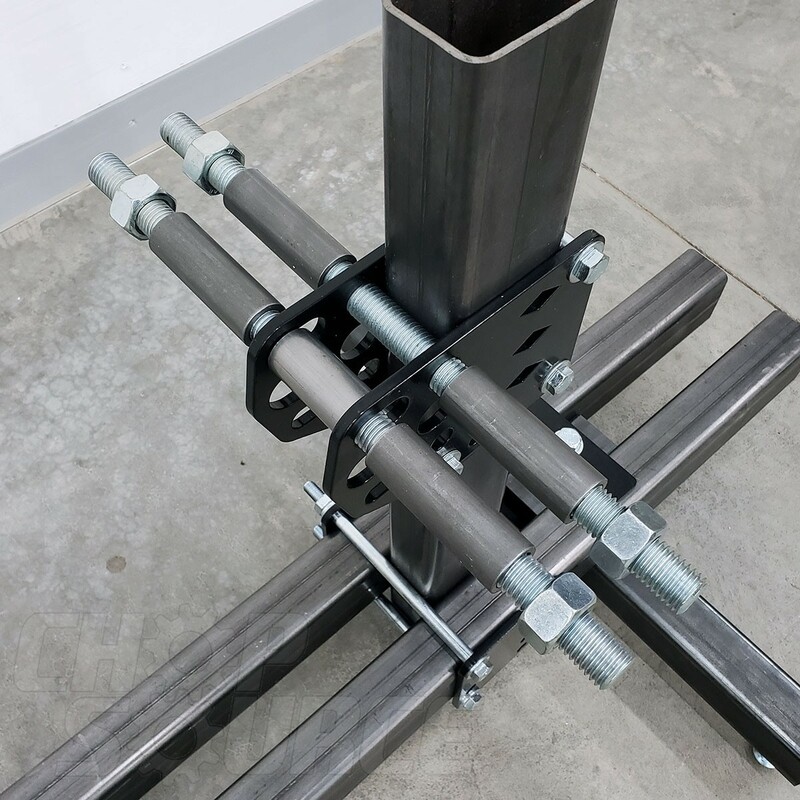 Structural tubing can be found at your local metal supply shop or welding/fabricating shop. 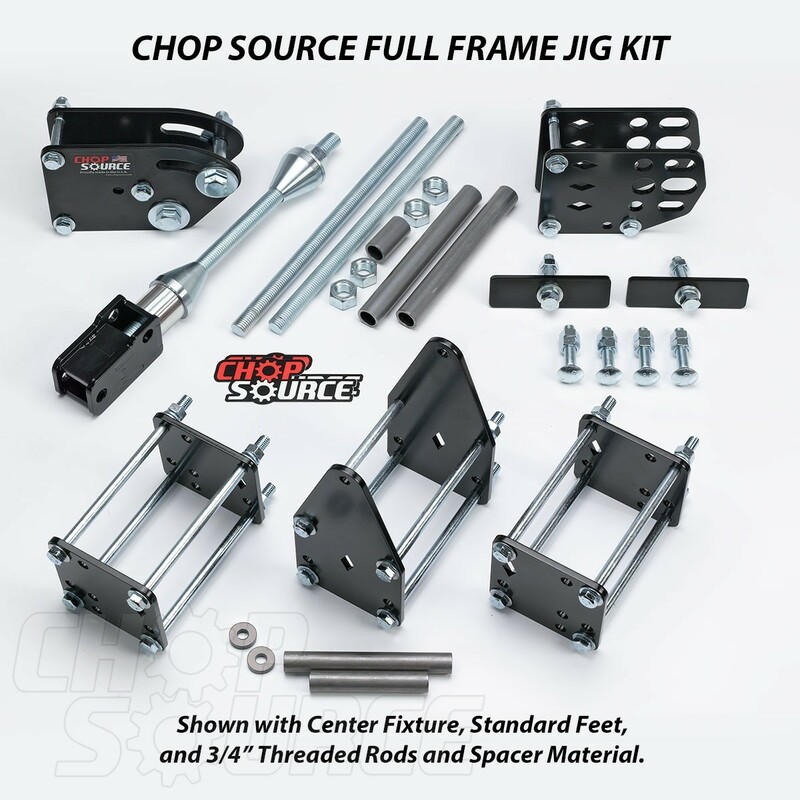 The frame jig kit bolts together so you can easily reconfigure the jig or break it down to store or move. The neck fixture will accommodate rakes from 15 degrees to 60 degrees. 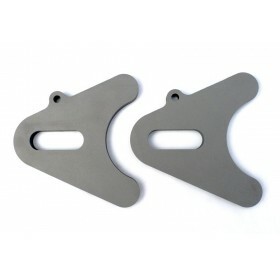 All fixture plates in the Full Frame Jig Kit are laser cut from 1/4" mild steel and are powder coated black. 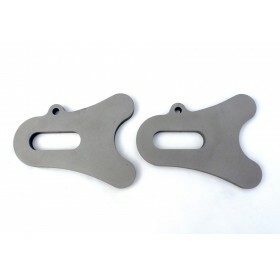 - 1018 Mild Steel Neck Cones (can upgrade to stainless steel cones +$18). 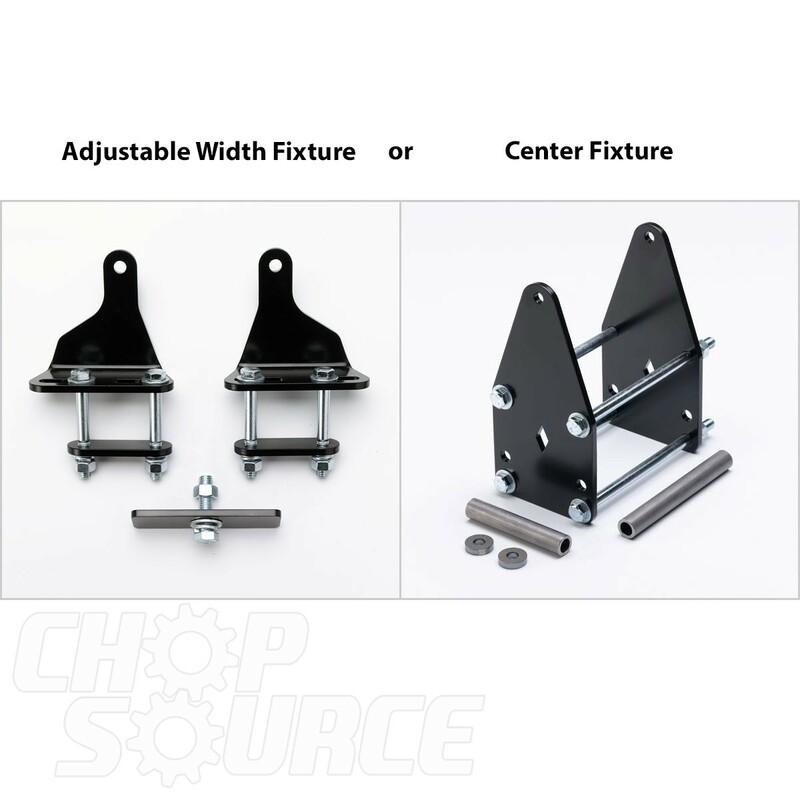 - Adjustable Width Fixture or Center Fixture. 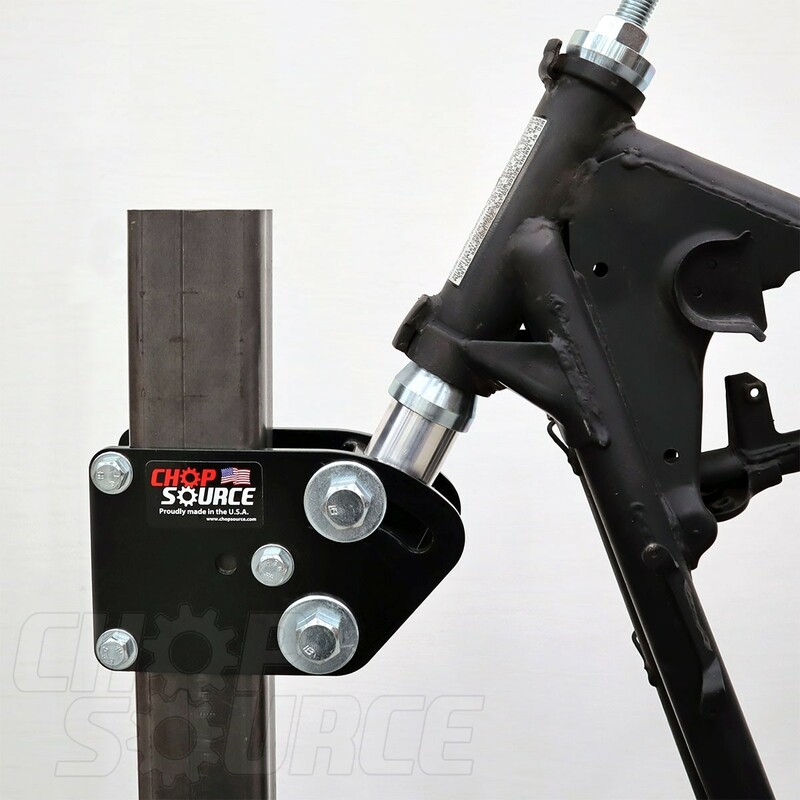 Want your jig to have a dedicated stand and rotate for easier welding? 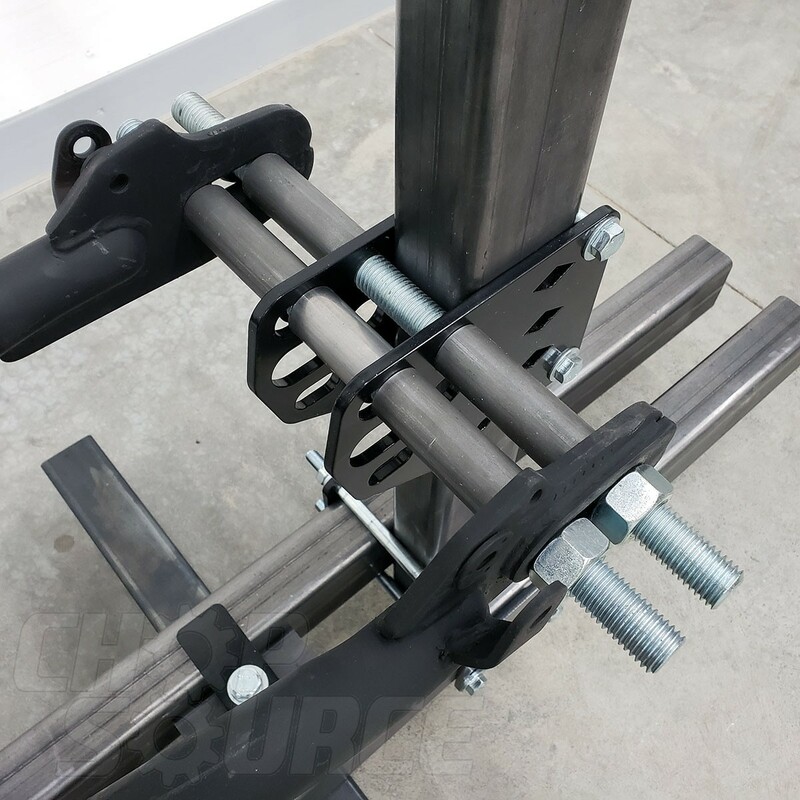 Also purchase the Frame Jig Rotisserie Stand. 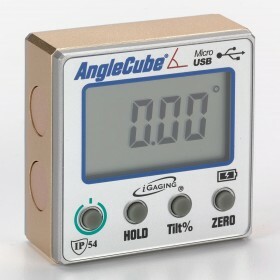 This item ships free to the contiguous United States! 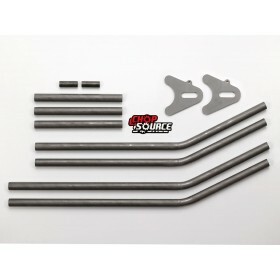 We ship all over the world frequently, but shipping is expensive because the parts are very heavy. Add the items you want to the shopping cart and use the shipping calculator in the cart for rates. Top quality product, at a fair price. 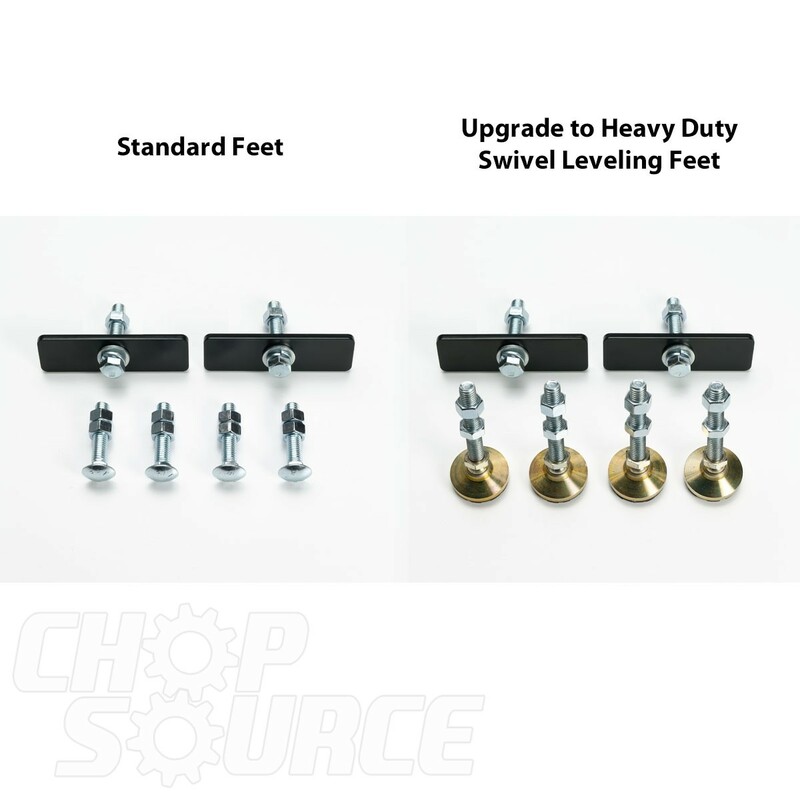 Shipping was fast, and detailed instruction make jig setup a breeze. Being able to disassemble and store the jig when not in use is a huge benefit. I highly recommend this product! Right on - this helped me sort things right out. 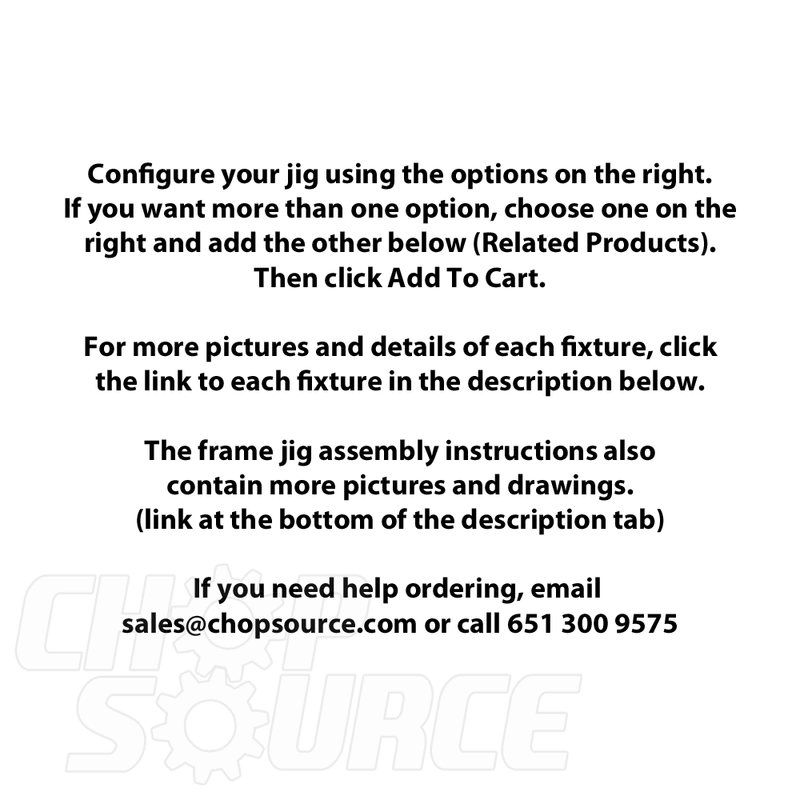 Jig is exactly what is advertised, being able to be taken apart and stored is a huge plus. Would recommend this to any one thinking of getting an easy to set up jig. Travis is a nice guy to deal with. The kit is complete and does what it should do. Perfect. International Shipping (to the Netherlands) was easy and quick. Well packed. If I ever need anything I will not hesitate to order from Chop Source again. I bought this frame jig upon hearing many other amazin reviews on it and it shipped to me in two days. Qaulity is phenominal and it was super easy to clamp and put together. 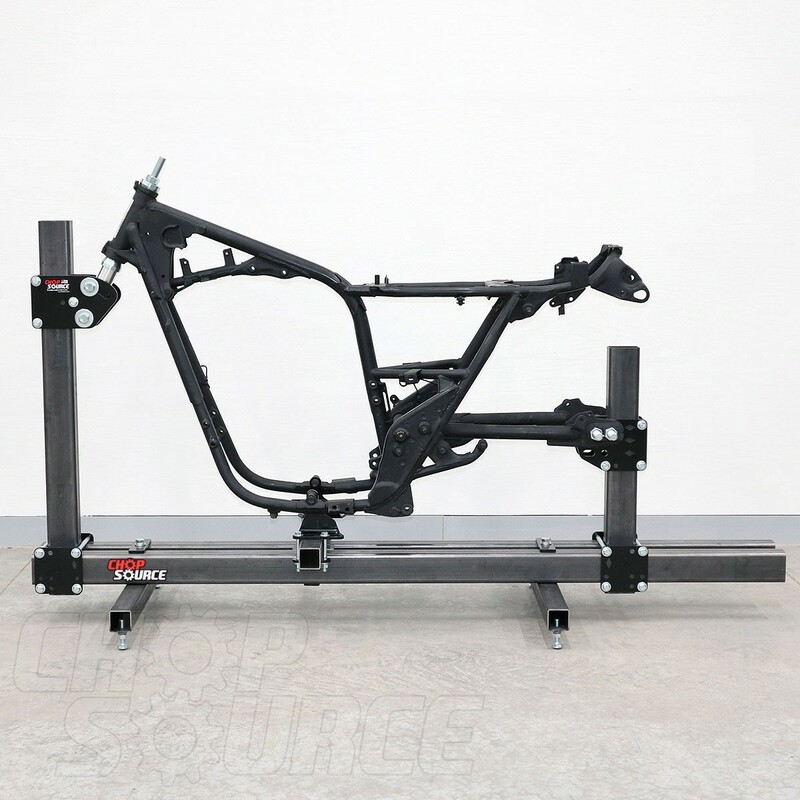 You really cant beat the qaulity and price for this frame jig and Im glad I got it!! Cant wait to have some fun on this set up!! 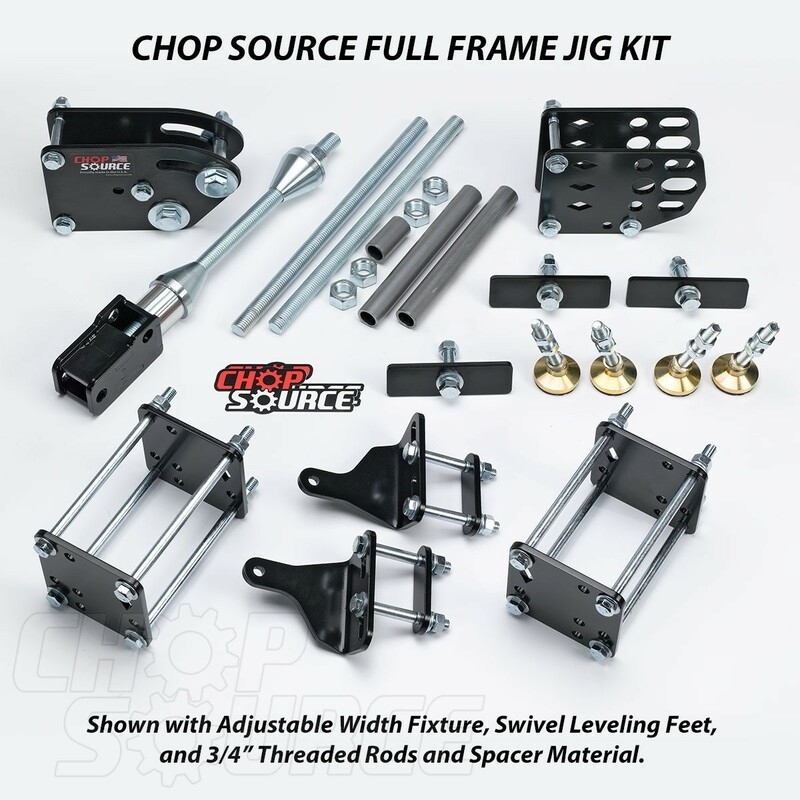 Anyone looking for high quality at a very affordable priced jig, purchase one from Chop Source, fast shipping and what quality. Easy assembly, all clamp together so its portable too. 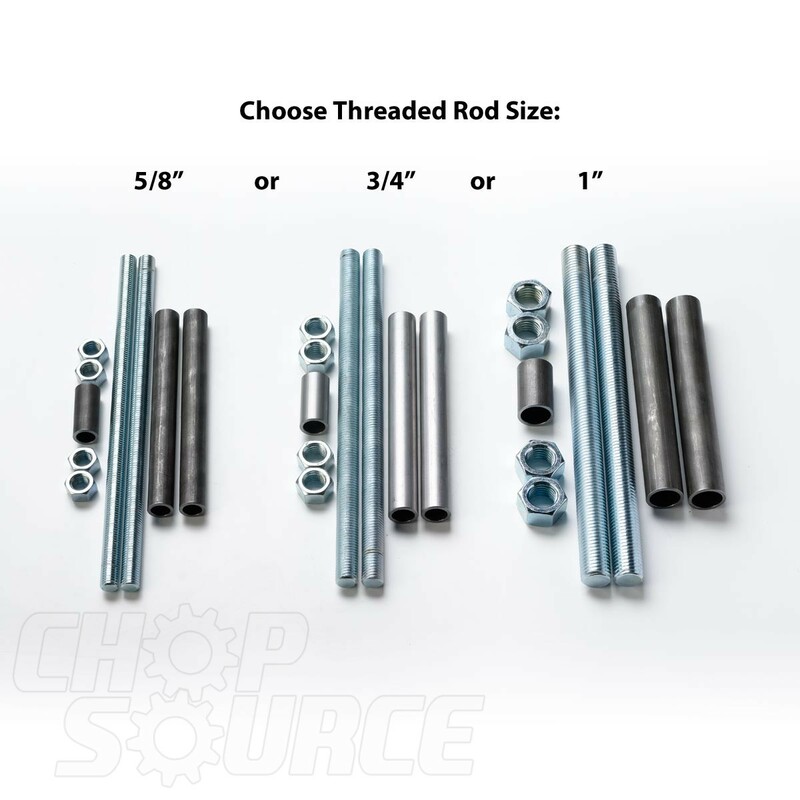 A big Thank You to Chop Source for a great product from one happy, satisfied customer.